Office Assistant: Candidates who have completed Bachelors’ Degree and 3 years of work experience equivalent from a recognized Institute for IIM Recruitment 2018. 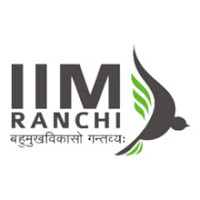 Administrative Officer: Candidates who have completed Degree of a recognized university/institute and 5 years of experience of which two years experience in PB-2, Grade Pay Rs.4,800 or equivalent of administration, establishment work in a Government Office / PSU / Autonomous Body / Statutory Body / Private Organisations of repute or equivalent from a recognized Institute for IIM Recruitment 2018. Junior Engineer (Civil): Candidates who have completed Bachelor’s Degree in Civil from a recognized university/institute with at least three years experience in Design, Engineering, Construction, Erection supervision, Maintenance of Civil and Structural works, Site and Project management or equivalent from a recognized Institute for IIM Recruitment 2018. Accountant: Candidates who have completed B.Com or B.B.A (Finance) degree (from a University/Institution recognized by the AICTE /UGC/AIU in a 10+2+3 years format of formal education) Or M.B.A. or equivalent (Finance) degree (from a University/Institution recognized by the AICTE/UGC/AIU in a 10+2+3 years format of formal education) Or Bachelor degree (from a University/Institution recognized by the AICTE/UGC/AIU in a 10+2+3 years format of formal education) with C.A.-Intermediate or I.C.W.A.-Intermediate level completed or equivalent from a recognized Institute for IIM Recruitment 2018. Counselor: Candidates who have completed Master’s Degree in Psychology and PG Diploma in Counselling / Master’s Degree in Counselling Psychology/Master’s Degree in Clinical Psychology (Minimum 55%) with exposure in handling adolescent or equivalent from a recognized Institute for IIM Recruitment 2018. Assistant Manager (Student Affairs): Candidates who have completed MBA Or Hotel and Hospitality Management Degree of a recognized university/ institute or equivalent from a recognized Institute for IIM Recruitment 2018. Assistant Manager (Legal): Candidates who have completed LLB/LLM Degree from a recognized university/ institute or equivalent from a recognized Institute for IIM Recruitment 2018. Information Technology Assistant: Candidates who have completed Bachelor Degree (Information Technology / Computer Science / Hardware / Networking domain) from a recognized university/ institute or equivalent from a recognized Institute for IIM Recruitment 2018. Eligible & Interested candidates can apply via online in Official website page in www.iimranchi.ac.in IIM Recruitment 2018. Log on to IIM careers page at the official website www.iimranchi.ac.in. Complete the IIM Jobs Application Form with the essential data. Take a print out of IIM Recruitment 2018 online application form.